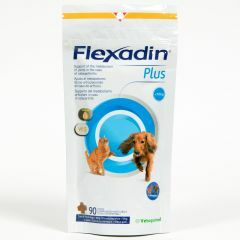 Flexadin Plus are soft chews which have been specifically formulated for use in cats and dogs, providing nutrients to help support your pet's joints. 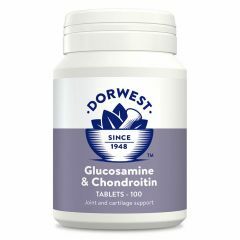 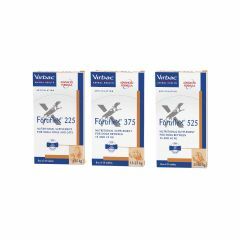 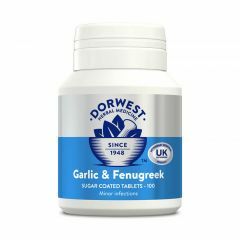 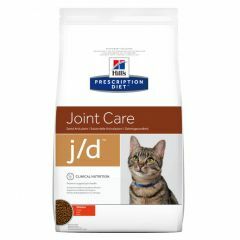 Each chew contains Omega-3 fatty acids, Glucosamine, Chondroitin, Devil's Claw and Vitamin E.
Fortiflex Joint Supplements for Dogs and Cats is an entirely natural nutritional supplement to help maintain healthy joints in dogs and cats. 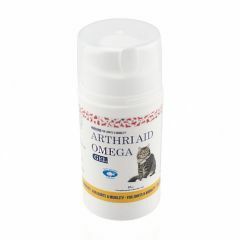 Corta-vet HA Canine/Feline Veterinary Strength Solution is a dietary supplement for dogs and cats for the maintenance of healthy joints as part of a balanced diet. 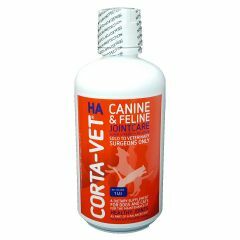 Corta-Vet HA is the stronger strength version of Corta-Flex. 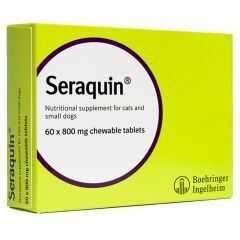 Seraquin is designed to maintain healthy joint function and prevent deterioration due to age or injury. 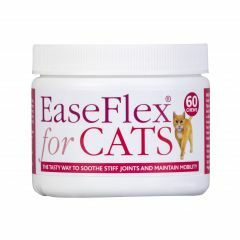 Easeflex Chews for Cats are a supplement which can sooth stiff joints and help maintain mobility. 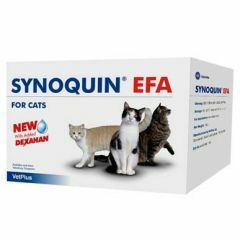 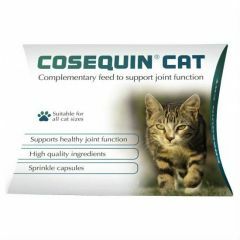 Cosequin Cat Sprinkle Capsules are a joint supplement, specially formulated to help maintain healthy joint function. 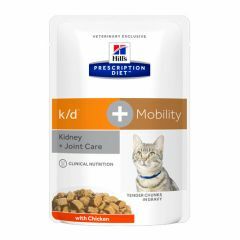 Hills Prescription Diet Feline K/D + Mobility with Chicken Wet Food is clinically proven nutrition to support mobility and quality of life in cats with kidney conditions. 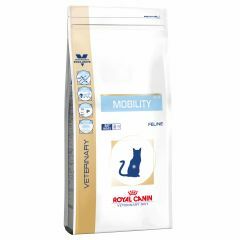 Royal Canin Veterinary Diet Feline Mobility Dry Food (MC 28) is a complete feed for adult cats over 1 year and has been specifically formulated to support mobility and for use after orthopaedic surgery or trauma. 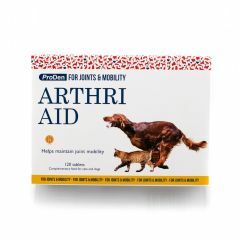 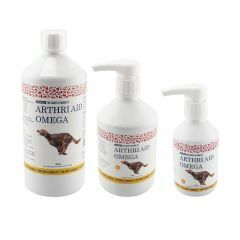 As dogs and cats age their joints will undoubtedly experience wear and tear. 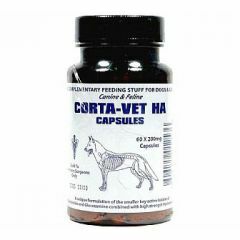 Feed them Corta-Vet HA Capsules Canine/Feline daily, to keep their joints as healthy and supple as possible in the long term. 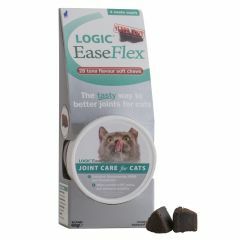 Logic EaseFlex Chews for cats are a super tasty, tuna flavoured soft chew providing joint support for cats. 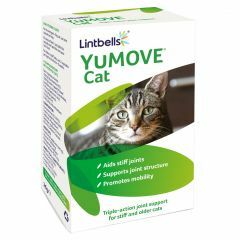 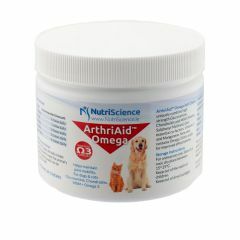 A tasty treat specifically designed with concentrated ingredients to help soothe stiff joints and promote mobility in cats.